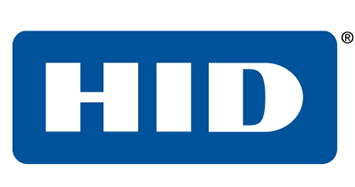 Merging the same high robustness of the other members of HID Global’s IN Tag™ family with the advantages provided by Fujitsu’s Ferroelectric Random Access Memory (FRAM) technology, the HID Global IN Tag™ 300 8KB is a high performance, high capacity, ISO 15693 compliant RFID tag capable of surviving both harsh industrial environments and heavy-duty exposure to gamma ray and X-ray irradiation. As Ferroelectric Random Access Memory memory withstands gamma radiation up to 50 kGray, and provides up to 33,000 times faster write cycles and 10^7 times bigger read/write endurance than conventional EEPROM memories, the HID Global IN Tag™ 300 8KB, which leverages the Fujitsu MB89R112 chip with 8 kB of FRAM, is the answer to the needs of specific demanding applications where tagged assets must undergo repeated radiation and sterilization processes, and tag memory has to be large and be accessed many times at high speed. Small in size with a diameter of 30 millimeters and thickness of 3 millimeters, and tuned for non-metallic surfaces, this FRAM HF RFID tag can be mounted on or embedded in virtually any object for tracking, inventory, automation purposes in healthcare environments, food production, manufacture lines, nuclear plants. The robust encasement is rated both IP68 and IP69K and survives strong impacts, high temperature and high pressure, exposure to a wide range of corrosive chemical agents. 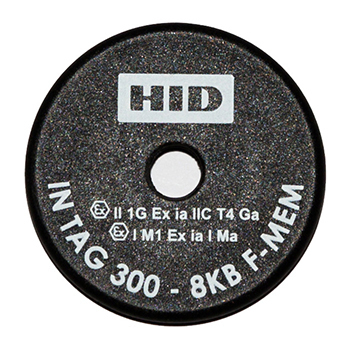 The IN Tag 300 8KB is also ATEX certified and can be delivered with custom embossed or printed logo upon request. For more details on this FRAM HF RFID tag, please contact HID Global. Additional info is available also through our RFID Tag Search Engine. Contact us at info@veryfields.net if you need help with the selection of RFID tags or suggestions on complete RFID solutions.